Why not choose one of trending ganache styles for your special occasion? As fondant is not everybody’s cup of tea, ganache style cakes are the perfect substitute for any occasion. This type of celebration cake is simple yet elegant due to the variety of ganache styles alongside the unlimited choice of various beautifications. This enables you to bring your desired cake design to life. 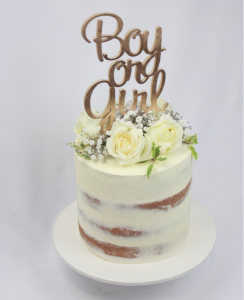 The semi-naked rustic look is the perfect choice for a baby shower, engagement, wedding or christening. The simplicity of the cake is made modern through the addition of a topper, bunting and flowers. The trend of a light colour scheme with the subtle pop of green enables a naturalistic appearance, this specifically compliments the simplicity of the design. The semi-naked ganache look is a more formal take on the rustic look, this is perfect for an eighteenth or twenty-first birthday. 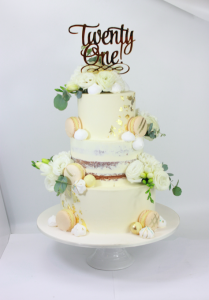 The addition of a wooden topper, scattered gold leafing, macaroons, meringues or flowers including lizzy’s can add a more fascinating and modern presence to the cake. However the inclusion of seasonal flowers maintains the naturalistic appearance of the rustic style. The country style ganache look is most appealing for a double barrel, two tier or three tier cake. With the addition of vibrant Australian native flora, this style displays a more naturalistic approach. The addition of seasonal fruit also adds a pop of colour against the textured ganache appearance. The smooth ganache style gives the same desired appearance as fondant but a completely different taste and texture. 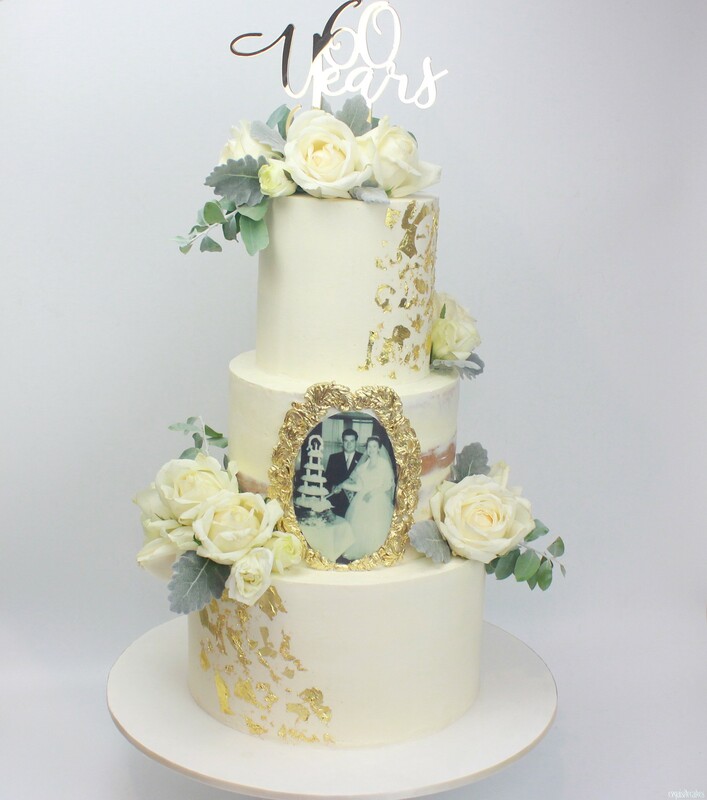 Through the addition of an icing photo frame, flowers and topper, this style is perfect for an anniversary. This style can be further modernised through the addition of scattered gold or silver leafing. 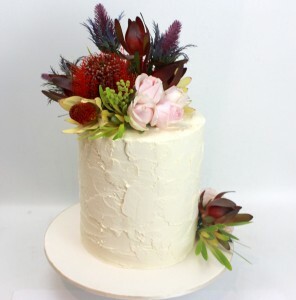 Why not give us a call on (02) 88501340 or visit our website to book in your next ganache style cake!